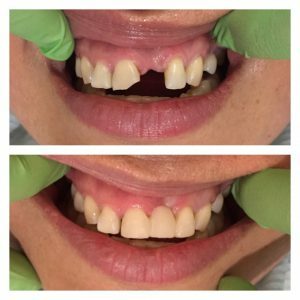 If you’re unhappy with your smile/front teeth, we can help you! 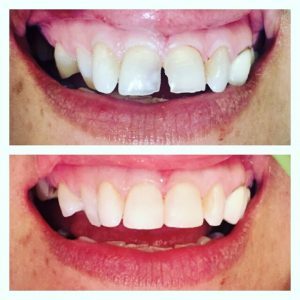 There are so many different ways now to transform your front teeth to balance and harmonize your smile. This wide variety of options allows us to do your treatment along a spectrum of all kinds of budgets and time frames. We’ve broken it down to three separate groups. Invisalign – Invisalign is a great way to straighten your teeth in a minimally invasive way. Usually there is very minimal cutting of any teeth, if any at all. 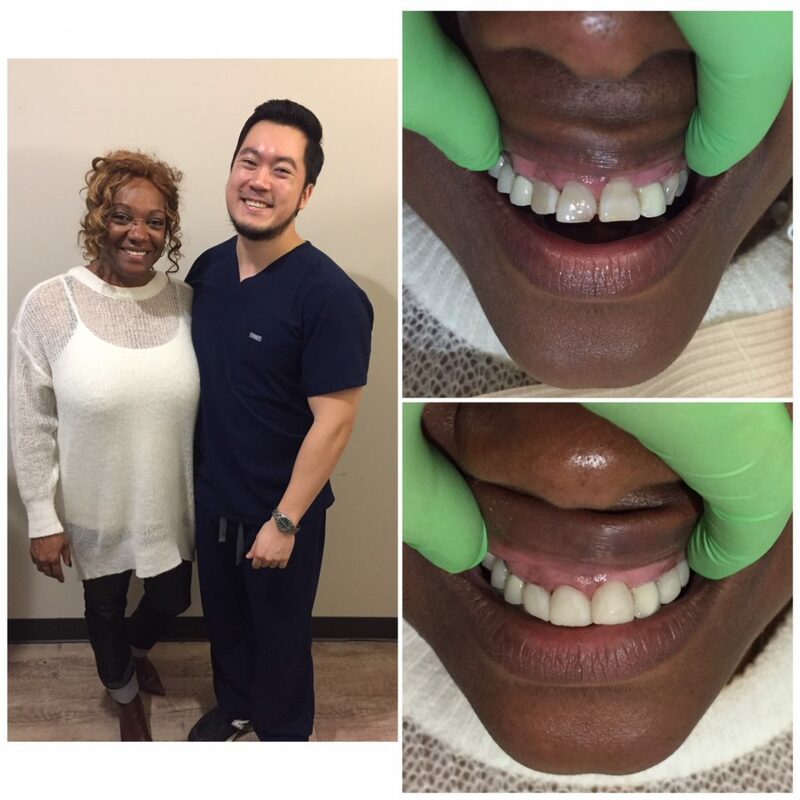 The way that Invisalign works, is that we would take impressions of your mouth, and then we would take those models to make a series of clear plastic aligners to slowly move your teeth into the desired position. This usually takes about 6-18 months depending on the case. This also tends to be the moderately priced option for straightening teeth; however, it is the lengthiest. Crowns & Veneers – Crowns and veneers are coverings that go over your existing teeth. Usually there has to be preparation of the tooth – usually cutting – in order shape them appropriately for these coverings. They are a great, lasting option, because they are made of Zirconia, which is an extremely strong material. The way that it works, is that on the first visit, we would prepare your teeth, and then take an impression of your prepared teeth and send it to the lab. 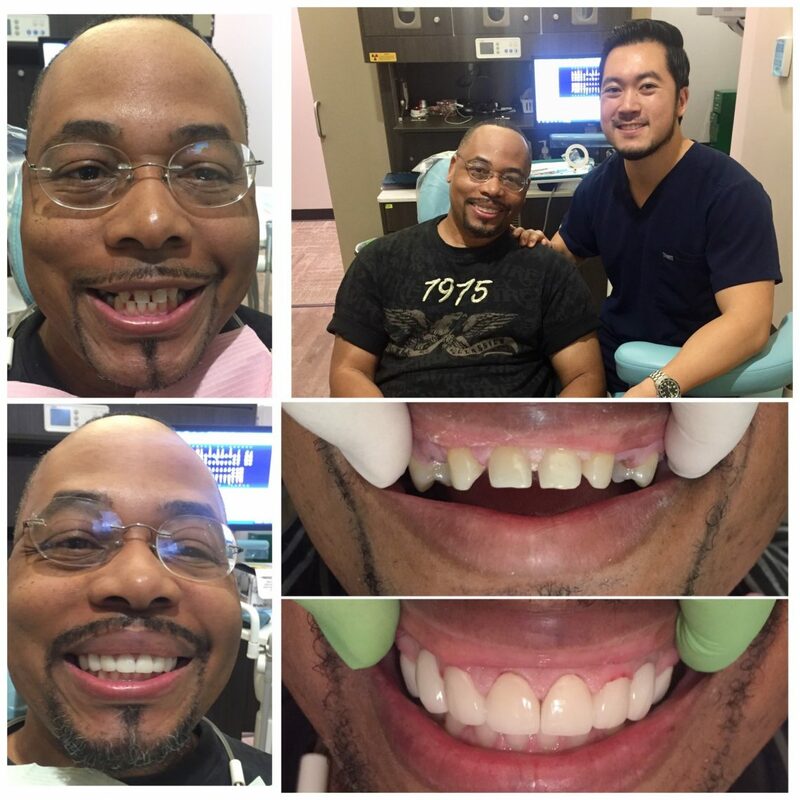 It takes about 2-4 weeks for the lab to send back your crowns or veneers. In the meantime, you’d be provided with temporary crowns or veneers, so your teeth wouldn’t go naked for the time being. On the second visit, that’s when we deliver your new teeth! This takes about 2-4 weeks, for the permanent results. This usually is the costliest, but the quickest way to get that new smile. 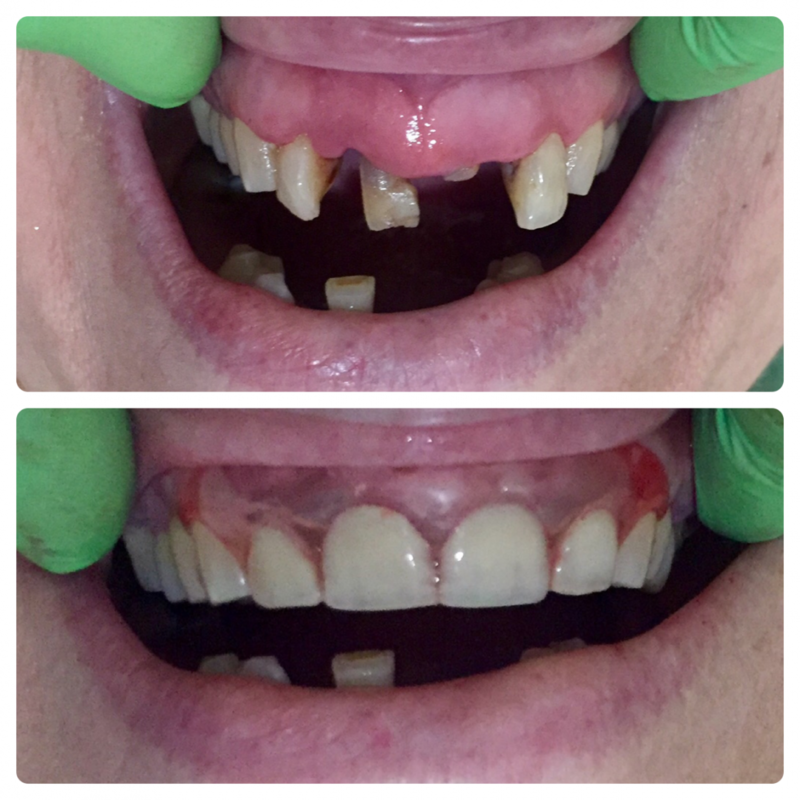 Bonding – Bonding is a technique that takes white colored filling material and bonds it to the surfaces of the teeth. 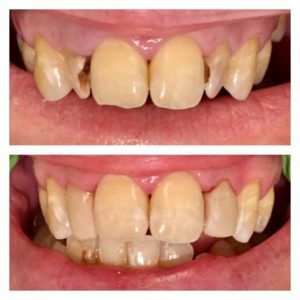 Bonding is the quickest and most economical way to fix teeth in the front. Depending on the patient, not all people will be able to do bonding since everybody has different ways of biting that can prevent this option from being viable. Bonding takes anywhere form a few minutes to a few hours, and usually cutting the tooth is not necessary. 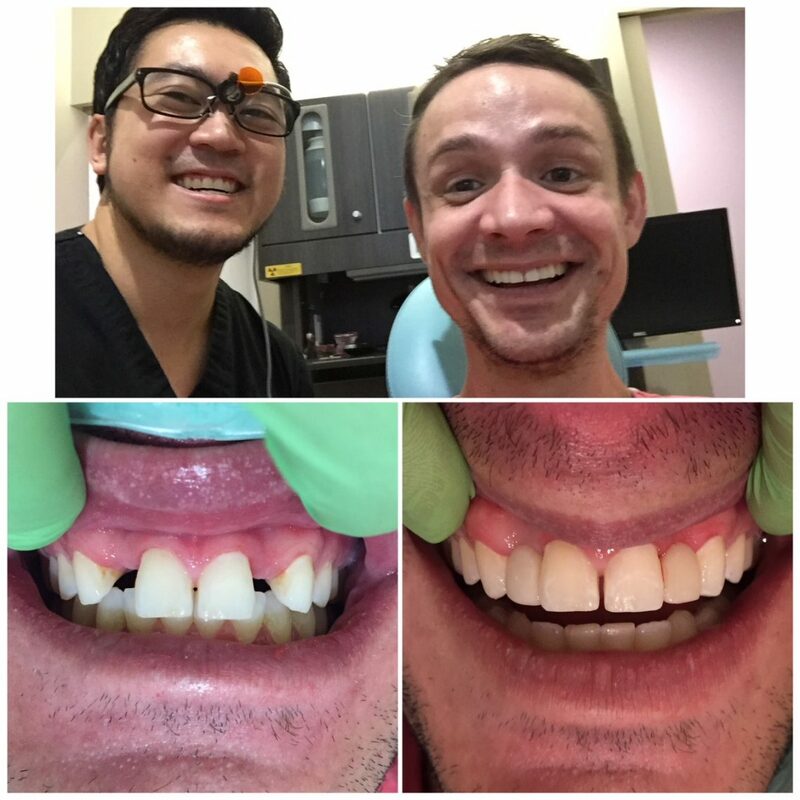 Bonding isn’t as strong as veneers and crowns, and it is more invasive than Invisalign, but it’s the best way to fix a smile for those who are a budget and timeline. 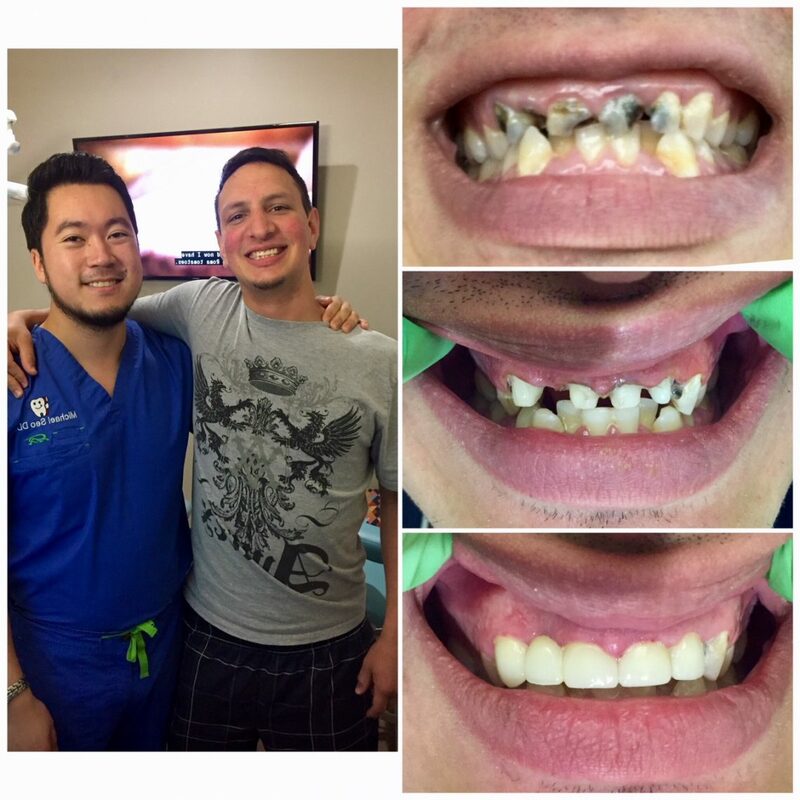 I like to tell patients that bonding won’t look 100% like your other teeth, but it will look 90-95% like them. And this can be a big difference if someone is missing a tooth, or if their tooth has been crooked their entire life. 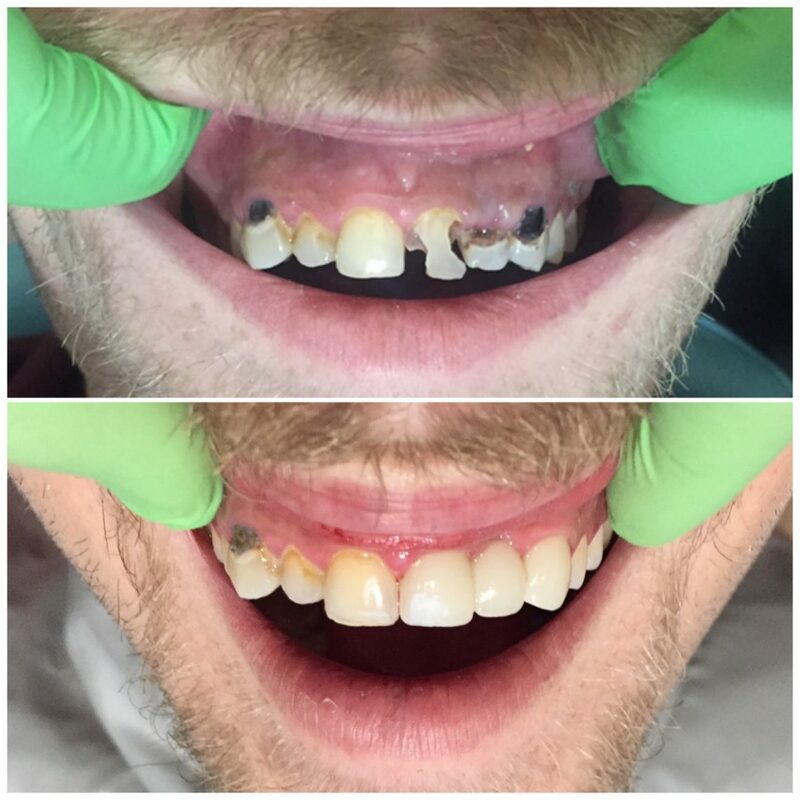 Below are some examples of before and after cases of bonding. Immediate Dentures – Immediate dentures are a highly esthetic and economical way to replace multiple broken down teeth in the front. In most cases, we can remove the broken-down teeth and place the denture on the same visit, so you’re not walking around without teeth. If you have any questions, and if you’d like to make an appointment to see which options are open for you, call 832-321-5761 today!